Medical devices play a vital role in the prevention, diagnosis, and treatment of diseases and in the delivery of high-quality healthcare. Increase in medical requirements of patients has lead to a considerable development of the cardiovascular market. The current cost-conscious epoch of making healthcare more cost-effective has renewed interest in technologies to speed vascular closure. The growing popularity of robot-assisted surgery, the market for cardiac medical devices has a positive outlook until the end of 2020. The robot-assisted devices help surgeons execute intricate surgeries by providing a better visualization platform compared to traditional devices. With the rapid growth in sensing, power scavenging, and wireless communications, there has been a huge rise in the number of wearable sensing devices for healthcare applications. Along these lines, inexpensive computing and storage devices coupled with modern communication technologies have paved the way for low-cost, unobtrusive, and long-term health monitoring system. 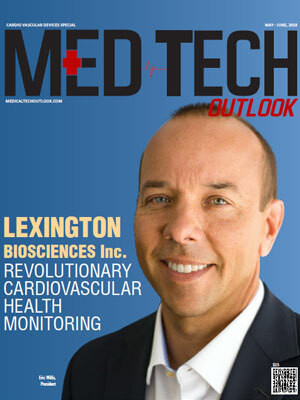 The market for cardiac medical devices is projected to reach about $67.5 billion in 2019. The market leaders are in the process of further innovation, improvement, and development of cardiac devices due to the introduction of innovative devices and the changing lifestyles of patients. So the preference of payers and consumers will incline toward companies that help them improve their lives and treatment outcomes in a cost-effective way. As more healthcare organizations invest in these technologies they are seeing positive results. 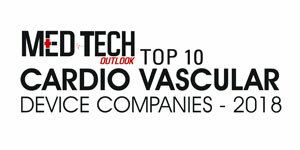 To help organizations select best vendors that offer the most promising solutions, Med Tech Outlook presents the “Top 10 Cardio Vascular Device Companies - 2018”. The listing provides a look into how the solutions in this domain are put into use.